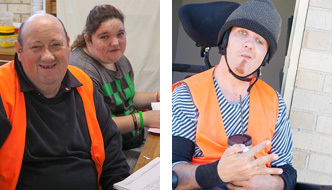 Established in 1984, Yumaro Incorporated is a registered charity and NDIS service provider offering employment, training, lifestyle, accommodation and home and community support services to over 140 people with a permanent disability in the Eurobodalla and Shoalhaven regions. Yumaro is governed by an experienced Management Committee with professional backgrounds and holds Accreditation under the 6 National Disability Standards. Yumaro is are committed to upholding the rights of people with disabilities. We advocate dignity, autonomy and seek equality of access to all parts of society for people with disabilities. The organisation has been a pioneer in the development of employment services to people with disabilities, running over 10 different social enterprises to provide a wide range of employment and skills development opportunities. Our enterprises include: cardboard and plastics collection and recycling; cleaning cloth production for Bunnings Australia; wholesale and retail plant nursery; grounds maintenance; survey peg manufacture; secure document destruction; screen printing and a range of other light manufacturing programs. More recently Yumaro has developed a suite of innovative disability specific training programs that build critical skills to empower participants for safe and fulfilling independent living as well as a range of other vocational training programs that develop enhanced work opportunities. Recognising the need for improved housing options for people with a disability, Yumaro is currently constructing an independent living complex in Moruya that includes 6 independent living units and a respite / group home close the main street of Moruya. Yumaro’s team of wonderful disability Support Workers currently provide In-home and Community Support for many local people with a disability – enabling them to lead a more independent and fulfilling life. Empowering people to lead fulfilling lives. Our Mission We provide meaningful employment, training, social connections, accommodation and other services to facilitate the realisation of a person’s potential. Serving people with a disability is at the heart of Yumaro’s mission, however within the scope of our services offerings Yumaro ultimately aims to benefit anyone who faces significant adversity and needs support. 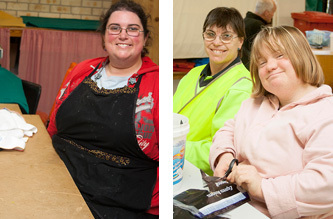 We are committed to upholding the rights of people with disabilities to self-determination.